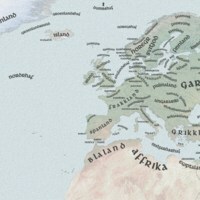 A map of the Viking world as named by (or as known to) the Norse peoples. 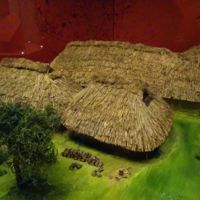 Whilst the names are not entirely accurate (and include a few not recorded in Norse sources), it does illustrate the extent of Norse activity. 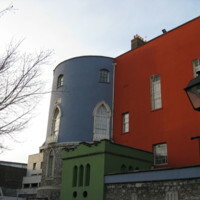 Photo of Bermingham Tower, Dublin Castle. 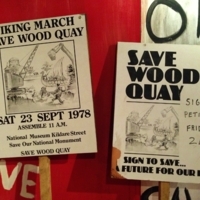 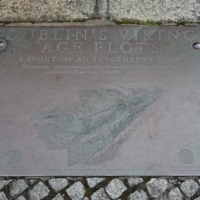 The walls of Dublin Castle were built on the original defensive banks of the Viking settlement. 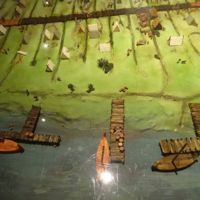 In the undercroft of the powder tower the foundations of these defensive banks and revetments can be seen. 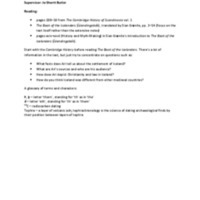 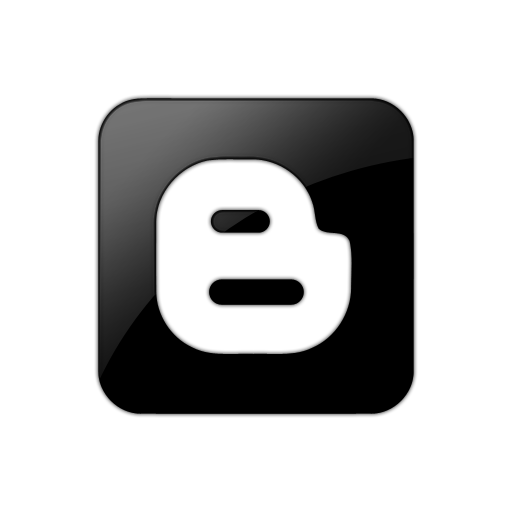 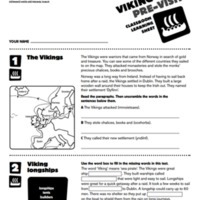 A short handout produced by Joanne Shortt Butler on the topic of Ari Thorgilsson’s Book of the Icelanders and Icelandic Identity, including a short reading list, questions, and a glossary of terms and characters. 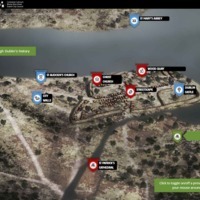 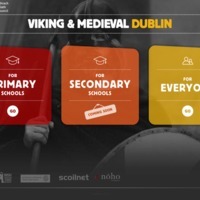 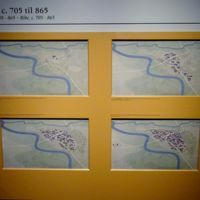 An interactive map of Dublin with a slider allowing a view of the city development through the Viking and Medieval periods. 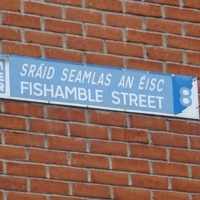 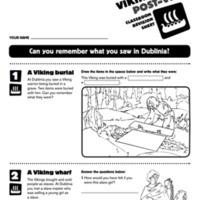 Produced by Dublinia as part of their Online Learning Resources, and available for Primary Level and for Everyone. 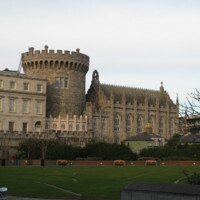 The walls of Dublin Castle were built on the original defensive banks of the Viking settlement. 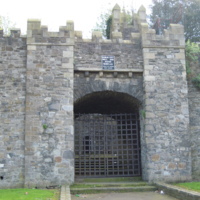 In the undercroft of the powder tower the foundations of these defensive banks and revetments can be seen. 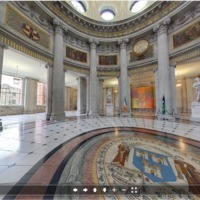 A virtual tour of The Rotunda at Dublin City Hall, allowing for close up viewing of the murals, including those with a Viking theme (Brian Boru and the Battle of Clontarf 1014 A.D / Irishmen oppose the Landing of the Viking Fleet, 841 A.D). 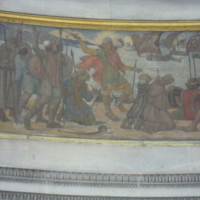 A mural in Dublin City Hall entitled 'Brian Boru and the Battle of Clontarf 1014 A.D' by James Ward and students of the Dublin Metropolitan School of Art. 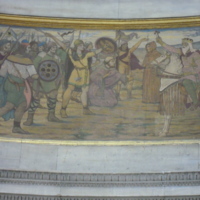 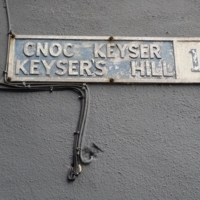 Completed in 1919. 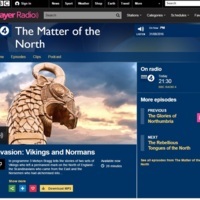 Podcast on the BBC website in the series 'The Matter of the North' looking at the impact of the Vikings and Norman invasions on the North of England.